Heading to Pigeon Forge and want to have some good food and entertainment? If so, check out The Killbillies Dinner and Show! This 2-hour, PG-13 mystery murder show starts at 6:30PM every night. Since there are 4 different shows, you can attend 4 different times to figure out every mystery! Not only can you participate as an audience actor, but you can also figure out the murder by checking out the clue envelopes that are at each seat. There is also a prize package for the Top Sleuth of the night! In addition, you'll get a full 3 course meal. 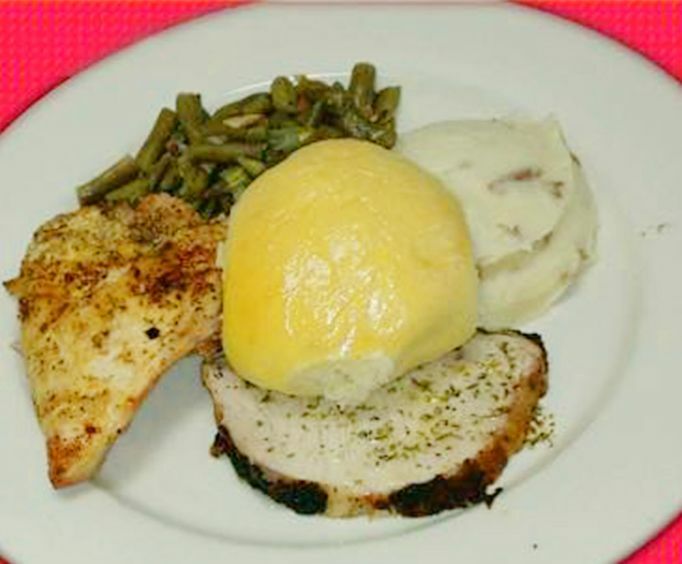 You'll get your choice of 3 different soups, the main course(country fried boneless chicken with white pepper gravy, savory pork loin, mashed potatoes, country style green beans, and dinner roll), and cheesecake with 3 topping options. The kid's meal has choice of 3 soups, the main course(chicken fingers, mashed potatoes, green beans, and dinner roll), and cheesecake with 3 different toppings. Soda, coffee, and iced tea are included with the meals but you can buy beer or wine coolers at an additional charge. There are also meal options for diabetic customers, gluten free customers, vegetarian customers, and vegan customers. The Clampette Family is back from Beverly Hills to start over in Pigeon Forge. The father, Jed, has decided to try a new life and marry a new woman after having issues in California with finances and zombies. The children, Jethro and Ellie May, are getting into troubles of their own and Granny just wants to go back to California! If you want some delicious food while participating in a murder mystery, then The Killbillies is an awesome attraction. Not only will you leave full, but you'll have a great time figuring out the murder! Located at the Great Smoky Mountain Murder Mystery Dinner Show at 2682 Teaster Lane in Pigeon Forge, Tennessee. The Great Smoky Mountain Murder Mystery Dinner Show is a small and intimate theater, which proves perfect for the up close and interactive show it provides. Our traditional, restaurant-style murder mystery plays out all over the dining room, so every seat is the perfect seat. There are four sidesplitting, parody style shows played in repertory each week. Guests will be given the opportunity to participate in the mystery, either by becoming an audience actor or by solving the murder using the clue packet provided at each seat. 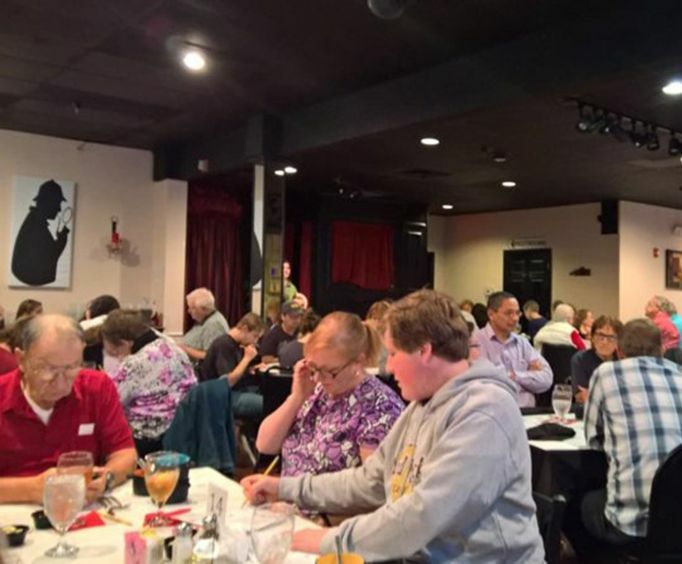 Your ticket includes our 'laugh 'til you die' murder mystery show with a Prize Package for the Top Sleuth of the night, as well as a three-course dinner with choice of soup and desert topping. 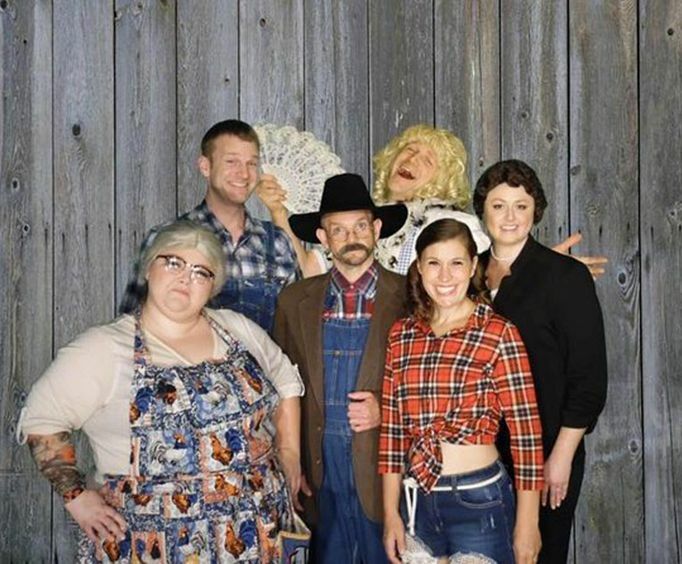 The Killbillies are back from Beverly Hills to start a new life in Pigeon Forge, meet the Clampett Family. Jed, the patriarch of the clan, has designs on a new life and a new wife after some financial and zombie problems in California. Ellie May and Jethro are up to their own brand of mischief and hijinks, while Granny misses her California life as much as she misses her motorcycle gang. All this and more in a brand new take of your favorite characters in the Beverly Killbillies! Great Smoky Mountain Murder Mystery Dinner Show. Vegetarian, Vegan, and Gluten Free are available at time of reservation. What is included in the admission price for The Killbillies Dinner and Show? Approximately how long is the The Killbillies Dinner and Show? Me and my husband loved the show. Tip: The prize should be for a couple. Great show. Very well done. Players knew their parts. Dinner was top notch. I recommend this show to anyone looking to be entertained. Tip: Come hungry. The food is great. "enjoyed the food and performance"
I really enjoyed the food and performance. The cast was funny and very friendly.